Abigail Breslin stars in director Vincenzo Natali's unique take on the traditional haunted house story. In 1986, 15-year-old Lisa (Breslin) and her family died in their home under sinister circumstances. Unable to move on, their spirits have continued to roam the house. 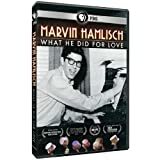 In the first film biography about Hamlisch, award-winning filmmaker and four-time Tony Award-winning Broadway producer Dori Berinstein (Carol Channing: Larger Than Life, Gotta Dance, ShowBusiness: The Road To Broadway) presents a deeply personal, insider portrait of one of the greatest artists of our time. 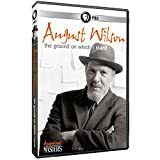 The film includes candid new interviews with Hamlisch's family, friends and A-list collaborators like wife Terre Blair Hamlisch, Barbra Streisand, Carly Simon, Steven Soderbergh, Quincy Jones, Christopher Walken, Sir Tim Rice. 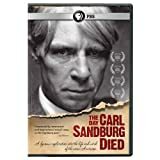 This new documentary, commemorating the 45th anniversary of his death, provides a dynamic examination of Sandburg's life, work and controversial legacy from a modern perspective. Features spoken word performances, songbook selections, readings, and original interviews. Sandburg's daughter Helga Sandburg Crile, his grandson John Carl Steichen, Pete Seeger, the late Studs Terkel and Norman Corwin, poets including Ted Kooser, Marc Kelly Smith and Yevgeny Yevtushenko, Grammy-winning musician Dan Zanes, Sandburg biographer Penelope Niven, and notable scholars share stories about Sandburg and reflect on the modern relevance of his vast body of work. Featuring interviews with the writers, directors, and stars of the most beloved British costume dramas, the behind-the-scenes documentary, The Story of the Costume Drama. 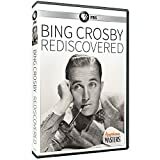 The Costume Drama Classic Collection is a value-priced 15-disc DVD collection featuring four Masterpiece Theatre series--over 36 hours of quality British programming including Doctor Zhivago, Lillie, Cranford); Lost Empires, and Upstairs, Downstairs, Series 1.